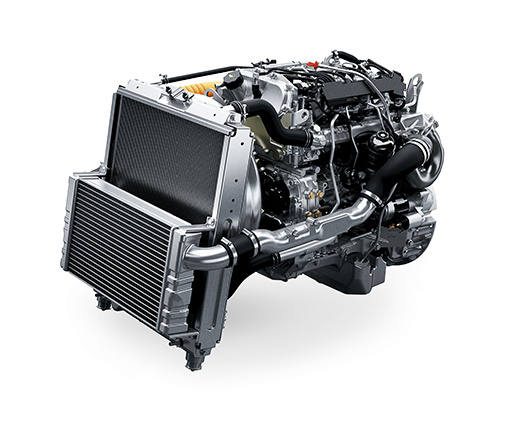 The fusion of a high performance engine, recovery control DPF and the urea SCR system, realizes the top class environmental performance, pursuing fuel efficiency and powerful drivability at the same time. Efficiency from a Comfortable Driving Environment. 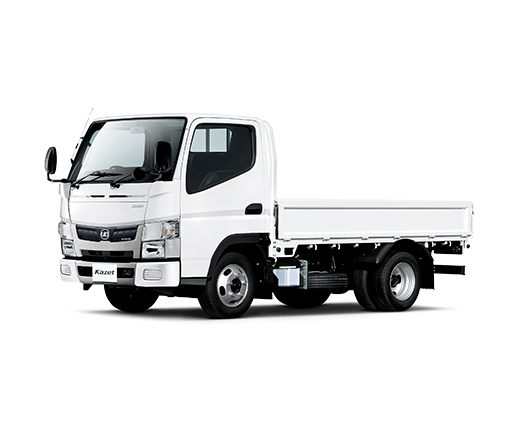 With consideration of the various situations of driving a light-duty truck, excellent comfortableness is created. Not only the spaciousness of the cabin, but also the ease of getting in and out and mobility in the cabin are reflected in the vehicle design. In addition, supportive equipment for professionals, including a multi-functional monitor to provide information of the car appropriately, as well as various storage spaces, were realized for reducing driver fatigue and increasing work efficiency. Excellent Off-Road Capability and Driving Stability, Kazet 4WD. Excellent off-road capability is the major advantage of 4WD, it supports daily operations safely and powerfully.This capability enables driving durability on unsurfaced and rough roads even in mountainous or snowy areas. For this light-duty truck the innovative transmission, dual clutch AMT, is selected. It realizes both the easy driving experience with the same two pedals as with automatic transmissions (torque converter type), as well as the equivalent dynamic driving experience found with manual transmissions. Adding to the exhilarating driving, the good transmission performance contributes to fuel efficiency and a reduction in driver fatigue. Kazet’s cutting-edge technologies; dual clutch AMT and urea SCR system. Overwhelmingly superior fuel efficiency and environmental performance are realized by combining the hybrid system with the above two systems.This model has also achieved significant reduction of CO2 emissions.